MyFaceOnAFigure.com: Purchase custom action figure heads made from your photos! 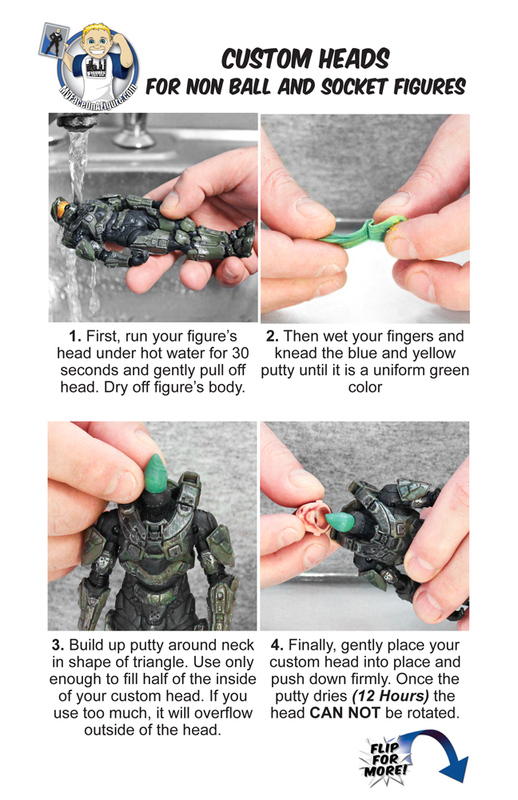 Already own the action figure that you want to put your own face on? Or maybe you want to get an action figure made of someone you know as their favorite comic book superhero. Look no further, because we are now selling heads individually! Some other products also available in this section. 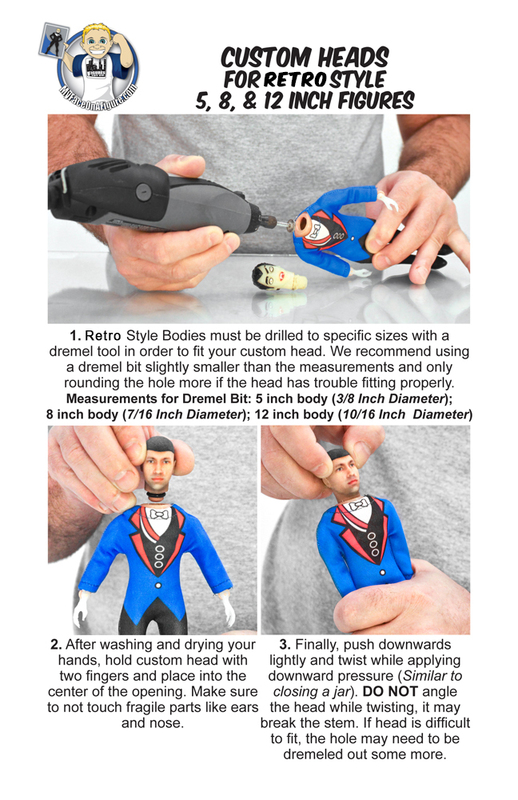 Please look at the image above to determine what size and style head you need to purchase to fit your action figure. We offer custom action figure heads in two different styles. The first is "modern style", which is what you need for most action figures that you would find in retail stores today. The second is "retro style", which fits retro style figures from the 1970's. If you need further clarification, please do not hesitate to contact us. All heads come with the material needed to connect the head properly.